CAPACITY: Depends on the user and Containers supply. 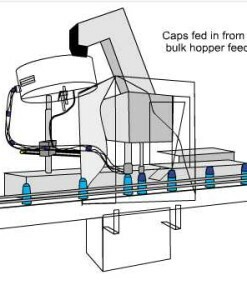 We manufacture semi-automatic capping machines suitable for tightening manually placed metal or plastic caps. These units can be fitted to a stand alone work bench, included in a filling machine, or incorporated into your existing production systems. 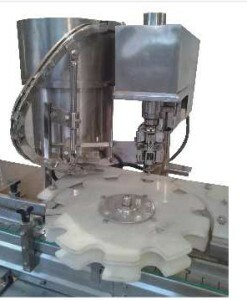 The unit is manually operated, uses compressed air and has fully adjustable torque settings. It is supplied with one cap head tightener designed to suit one size cap only; interchangeable cap heads can also be supplied to suit each different cap diameter in your range.